Hello! 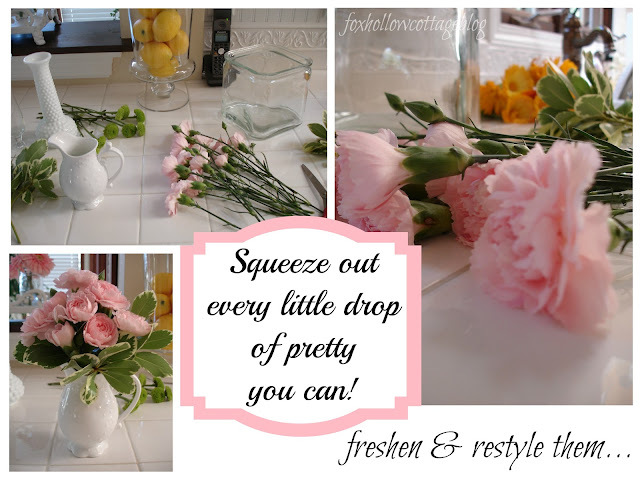 Today I want to share how to freshen and restyle a floral arrangement with you. 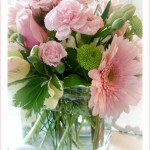 I love getting fresh flowers, and chances are, you do too! If you got flowers for Mother’s Day, about a week from now, your flowers will probably be looking a little bit sad. Now, if you are anything like me, you want to enjoy them for as long as possible! 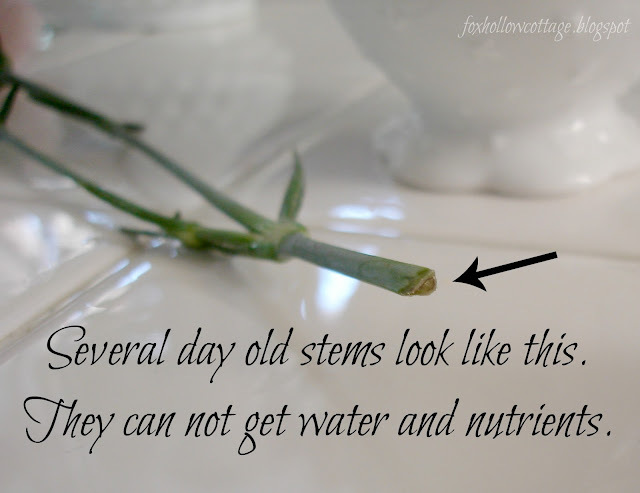 So if you’re interested… I’ll share how I easily turned my week old floral arrangement that was starting to fade into something new. 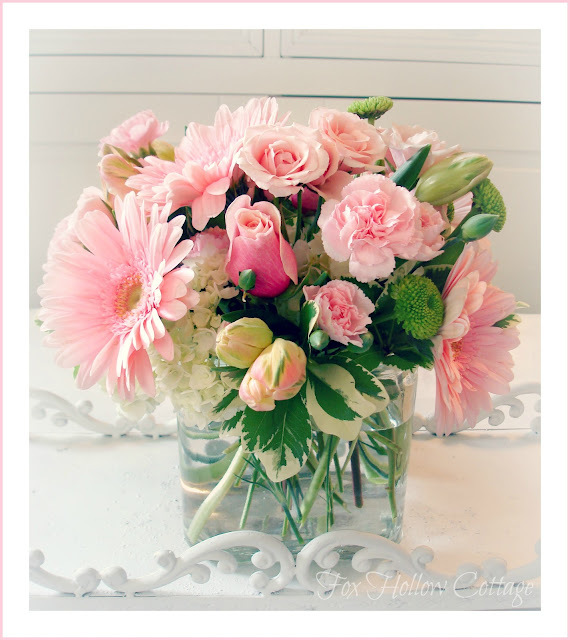 It’s been 20 days now since I got my floral arrangement… and I still have some of these flowers. 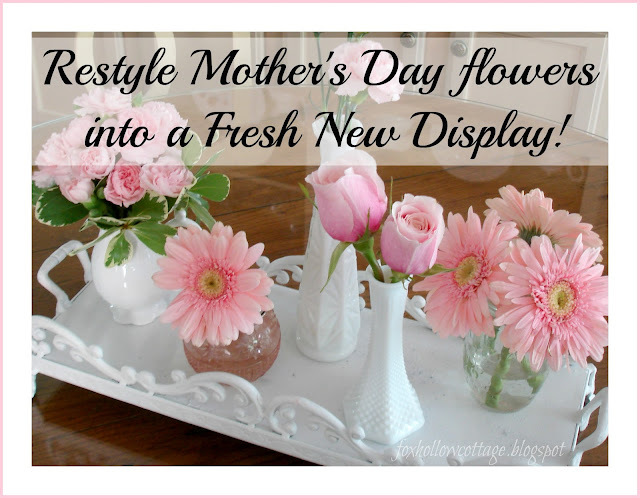 I grabbed: a white creamer style pitcher, a hobnail milk glass vase, a pink glass vase, a thrift store vase and a .10 cent jelly jar. 1. 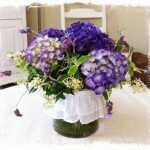 Take your arrangement apart and salvage any blooms that are still viable. I’m sorry I did not take a photo of my flowers at the half-way point, but I deleted my tulips and button mums. 3. Get ready to give your flowers a second life. Arrange as desired in whatever you have handy. 4. 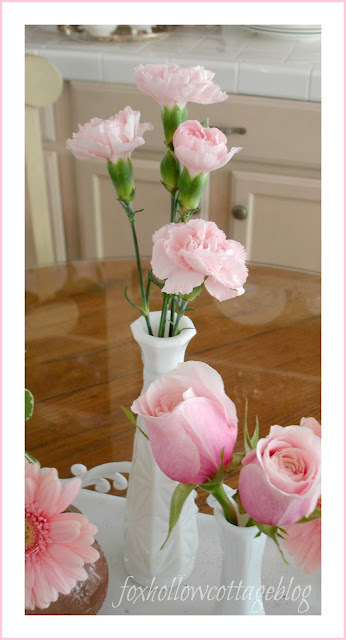 Here is what I did with some of my pink Mini Carnations, if you like mine. Easy as #1, using a creamer container. #2 Filling it with greenery as a base. #3 Adding in the pink Mini Carnations. 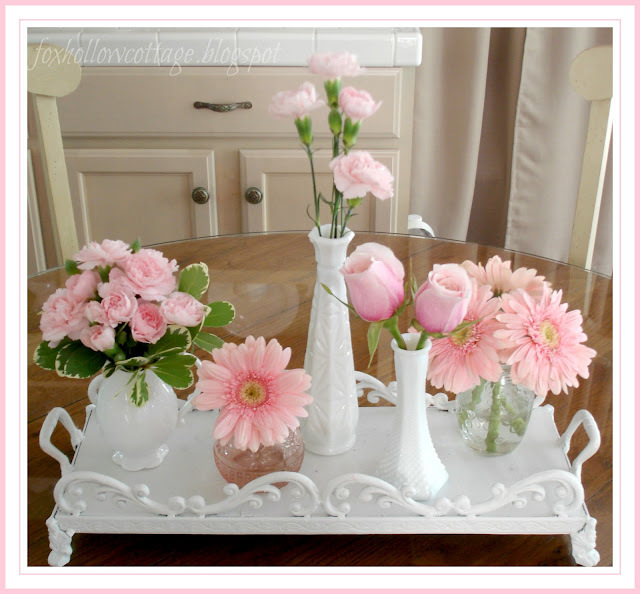 When I was done getting my flowers in their new homes I popped them on my iron tray and have enjoyed them every day since! It was wonderful laying them all out and playing with them too. I really enjoyed it! 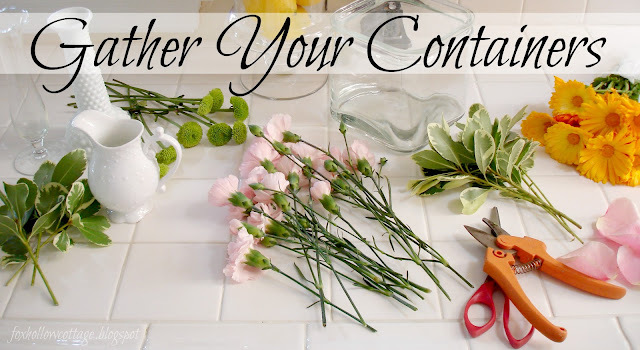 You can also add floral preservative (the little plastic pack of powder that often accompanies cut and arranged flowers) to make your blooms last longer. 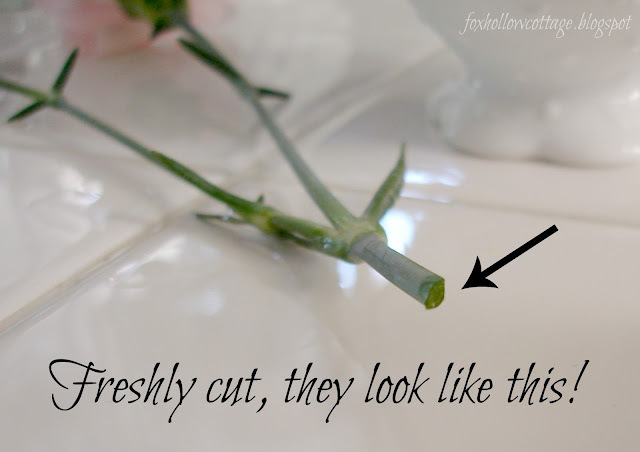 Freshly cutting the stems and adding fresh water (amended) will also keep your original arrangement looking it’s best, as well as prolonging the life of any secondary floral displays. 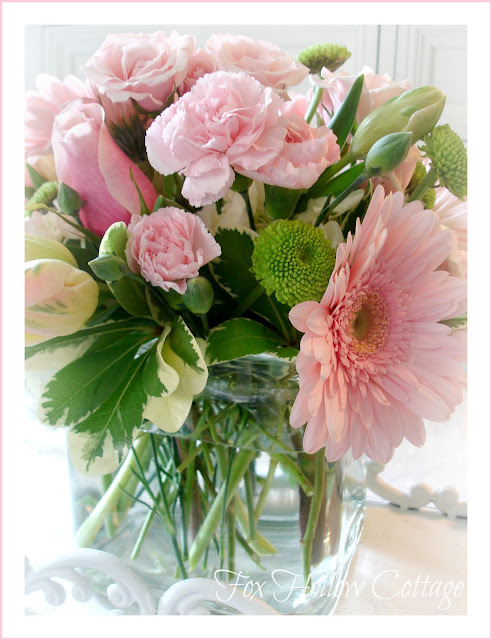 You can add a penny or two and splash of table sugar to your arrangement. Add a cap full of bleach to the water. For approx. every quart of water, add 2 tsp. sugar and 2 tsp. vinegar. To a secondary one, that allowed me extra time with my flowers! With little effort, and no money spent, my flowers lasted twice as long! 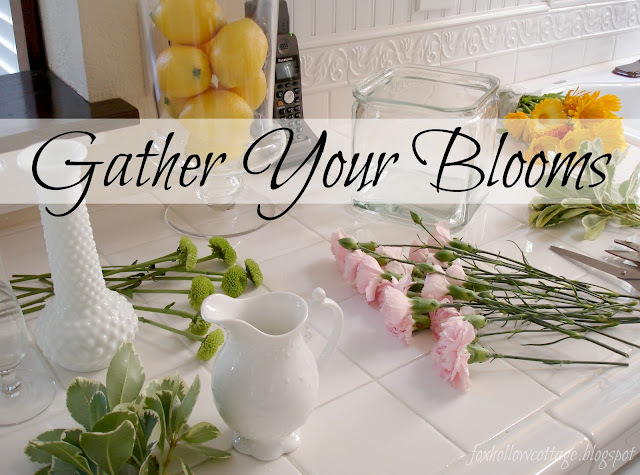 I hope this was a helpful post and you can now get the very most out of your floral arrangements. 20 days? That is wonderful. I love this trick, I do it with flowers from my garden when some start to die faster than others, but I wish I had remembered with the flowers I received for Mother’s Day! shannon- your flowers still look so fresh and pretty after 20 days. 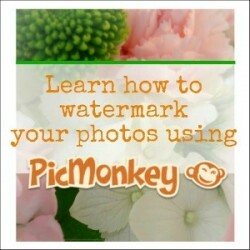 Hi, I’m following you via At the Picket Fence Bloghop! 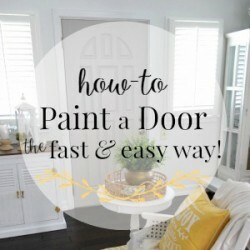 Following on Linky (I was already a google follower). 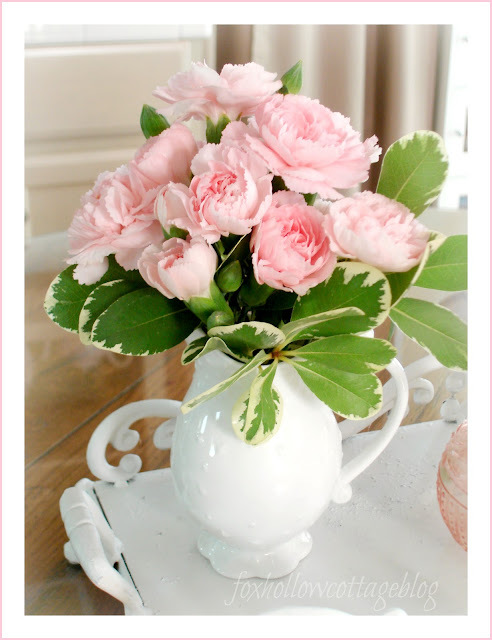 Great flower ideas! Your fresh flower re-do looks so pretty in their new look! 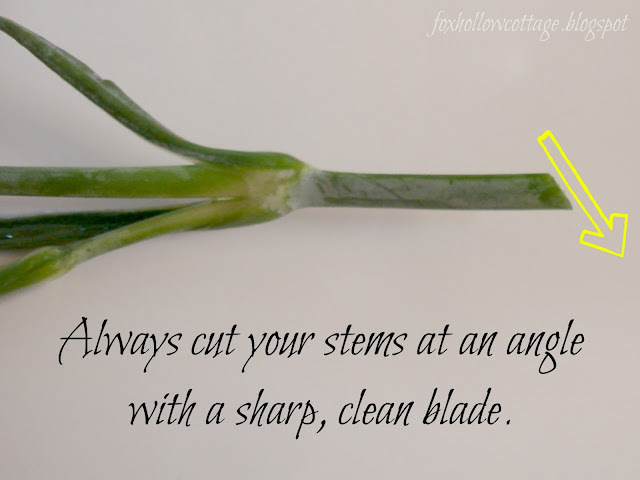 I usually end up waiting too long to do the cutting for it to do any good. 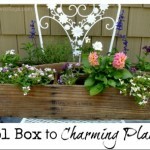 I found your link on the blog hop at Art Is Beauty. 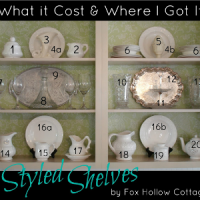 You are speaking my language~refresh restyle! They are beautiful and I had to pin~it 🙂 Beautiful! First of all – love the new blog design! It’s so foxy! 20 days – those are the longest lasting flowers on earth (are you sure they’re not plastic)! the blog redo looks fresh and clean! Easy to get around too…great job! Get out! Your so smart! I love this.. and why oh why have I never thought of doing this!?! Hummm. Beats the heck outta me! So pretty Shannon- you just really taught me something! Thank you! I love all your vases by the way! Pretty! I totally do the same thing all the time. 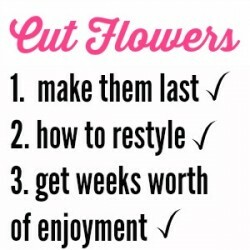 trimming the flowers is a great way to prolong the length of their life. Nice tips. 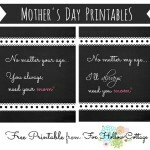 You are so stinkin smart…they are just as lovely the second time around! Wow! You got some great longevity out of your beautiful arrangement and it looks just as pretty spread throughout several vessels. I hope the arrangement of flowers that I gave my Mom lasts long enough for her to reinvent them! 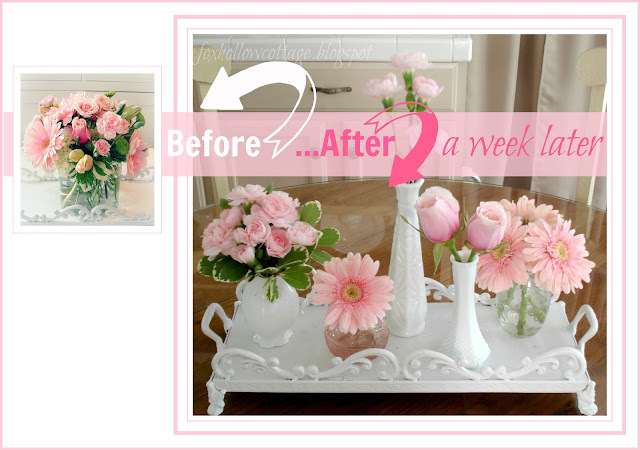 How To Freshen And Restyle A Floral Arrangement. 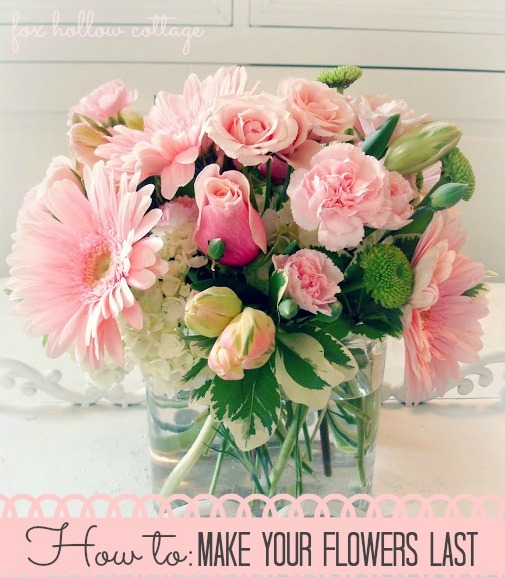 Tips for Mother's Day, Valentine's, Anniversary & Birthday Flowers. Ideas To Make Last & Enjoy Longer.